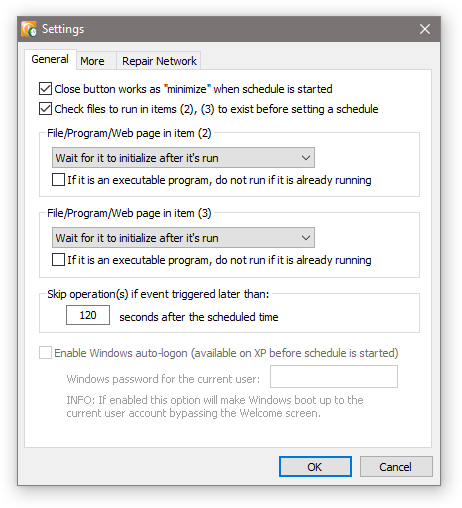 Power Saver & Scheduler. 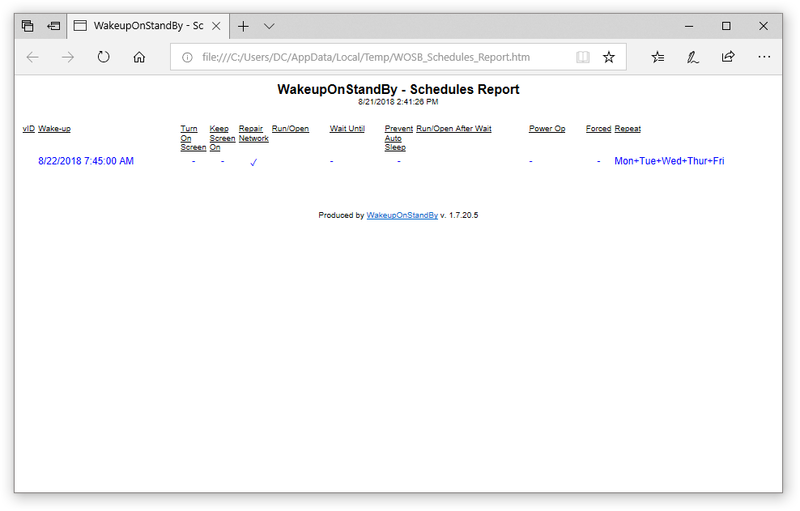 WakeupOnStandBy - Energy Saver. 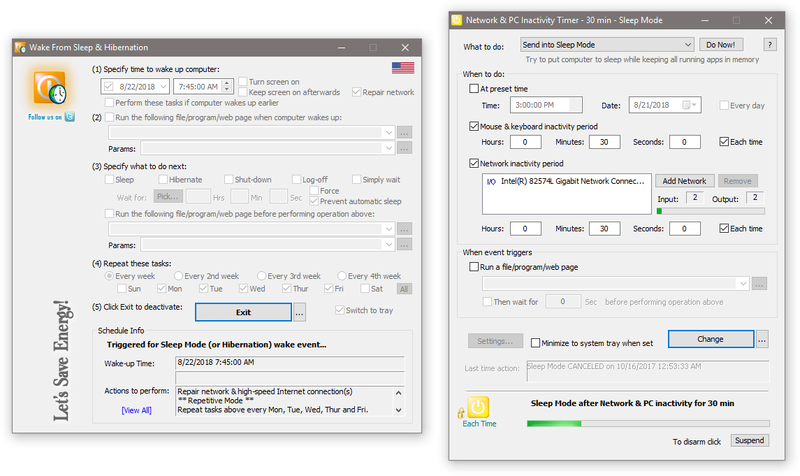 Wakes Computers From Sleep or Hibernation. 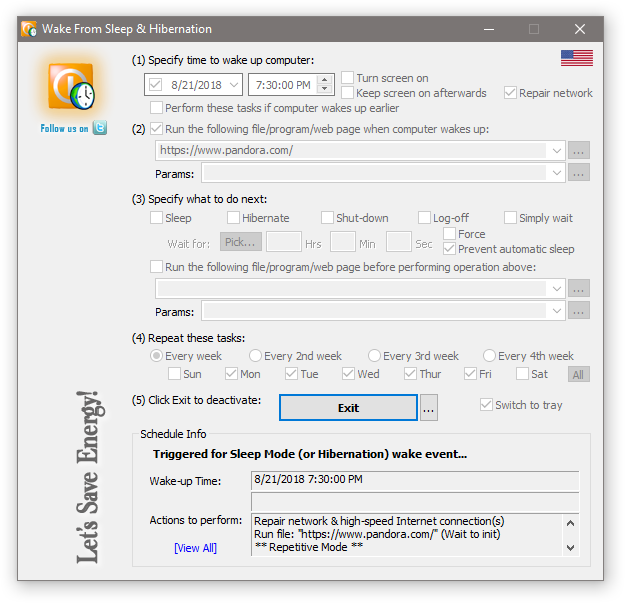 Saves energy by waking computers from sleep. 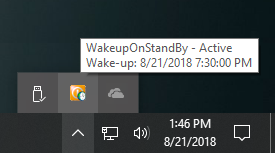 Have you ever thought how much energy your computers use up at night or when they're not in use? 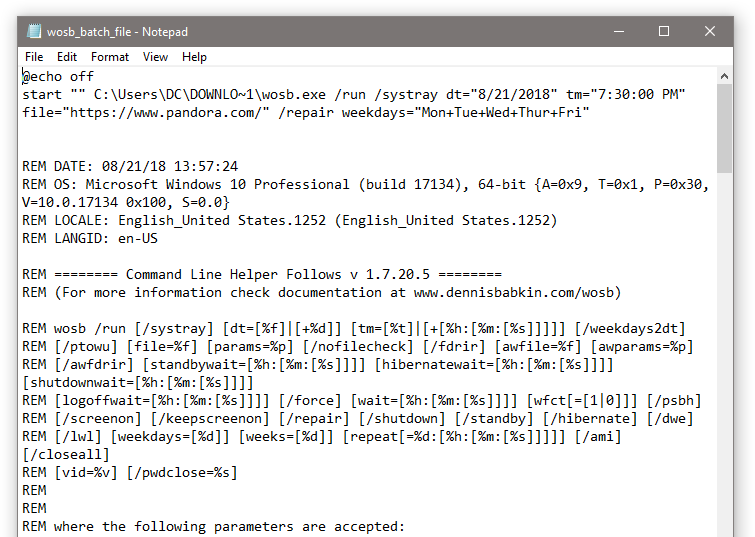 Have you ever wondered if it's possible to wake up your system from a sleep mode (or hibernation) using a resident program and not waste all that energy? The answer is yes, it is possible! 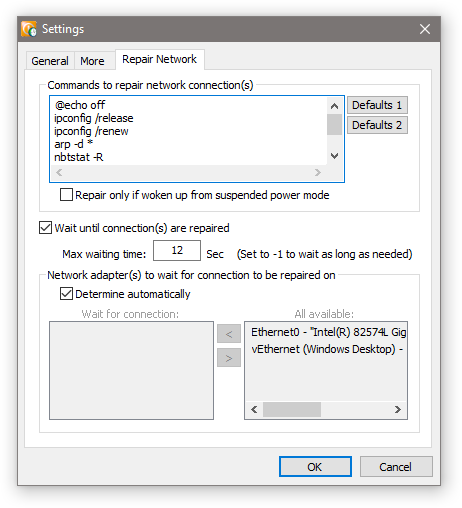 This simple utility will let you do it. 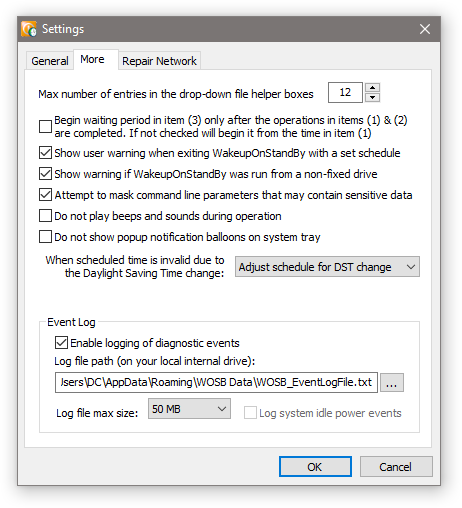 Besides that it can also send your system back into a sleep mode (hibernate it, power it off, or log-off a user). 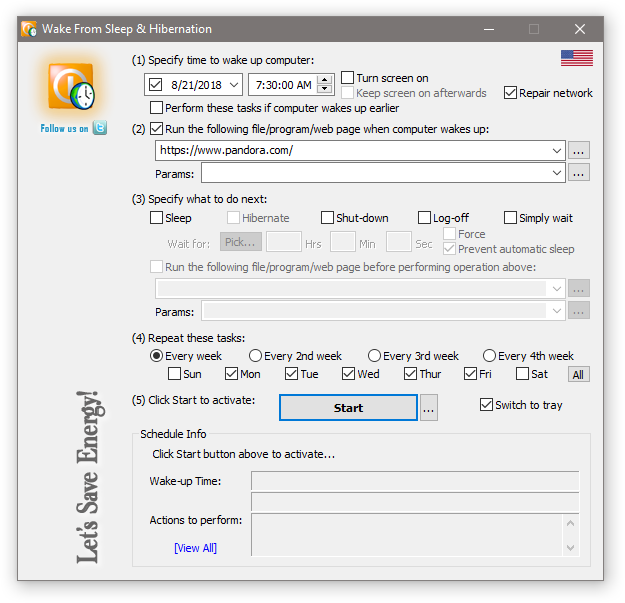 Moreover, you can also use this utility as a scheduler to do your tasks without involving a sleep mode. Are you a corporate or an enterprise user? Do you need even more functionality? We can customize it specifically for you, to meet your organization's needs. Click here to download mentioned TOff software. Requires ACPI (Advanced Configuration and Power Interface) hardware support. 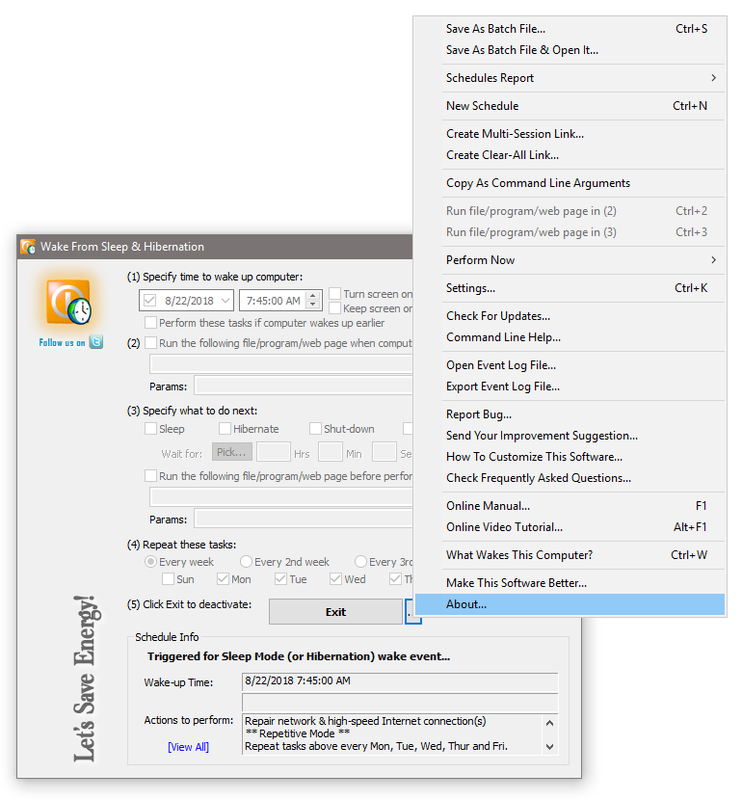 Most modern computers will support this feature. Archive: Download for Windows 2000/XP (v 1.7.19, deprecated), or for Windows 98/ME (v 1.7.14, deprecated).